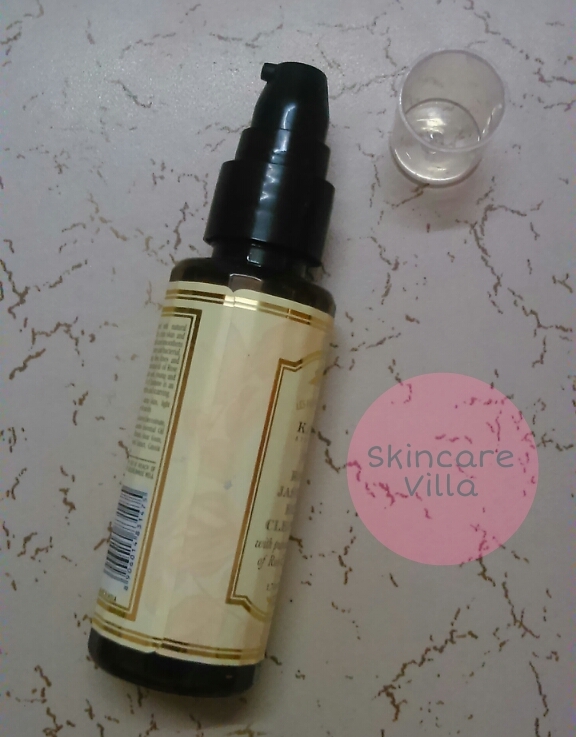 The Kama Ayurveda Rose Jasmine face cleanser accompanied me during my travels and am more than happy to post the review. Read on to know what makes this cleanser ideal for your skin as well as a travel friendly product. The best thing about the Kama Ayurveda Rose Jasmine face cleanser is the super sleek pump packaging. The pump dispenses just the right amount of the product and the small cap is tight enough to prevent product leakage. The pump dispenser is small in size which is sufficiently enough as a very little amount of cleanser is needed for every use. 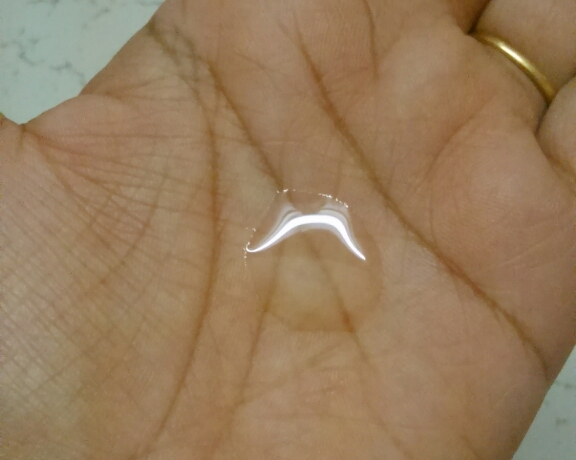 The cleanser is transparent in colour with a little runny consistency. The fragrance of cleanser is of fresh mesmerising roses. The fragrance is not at all artifical, instead is heavenly which will make you feel fresh and clean. The cleanser doesn't foam much, but when slowly rubbed between the palms it gives a frothy foam which disperses when it comes in contact with water. The cleanser cleans the face efficiently and removes dirt, oil and grime. It leaves the skin soft and smooth and gets washed off easily. It doesn't dry out the skin at all. The main reason for cleanser being a favourite with me is that it contains salicylic acid. I experienced fewer than usual breakouts while using this cleanser. It also hydrates the skin a bit not much though and makes it glow a bit. The cleanser is a winner for all skintypes especially oily skin. Price, shelf life - 375 INR for 50 ml. 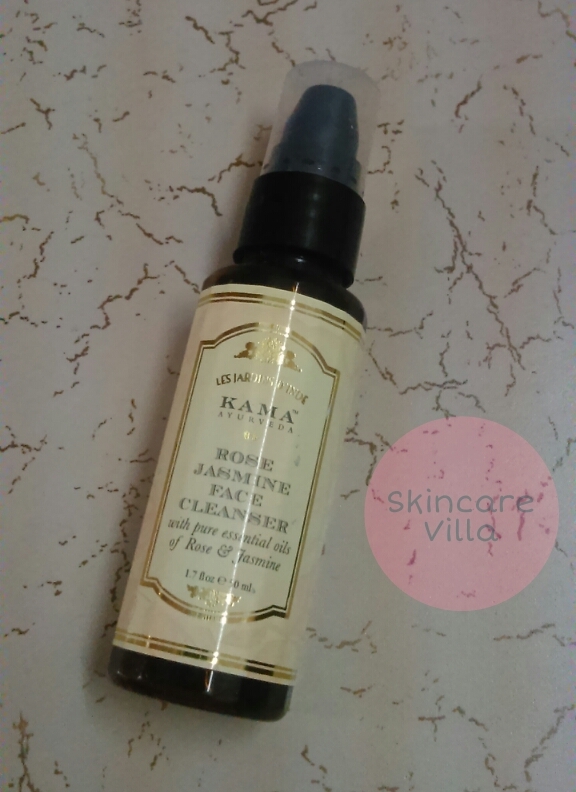 I would highly recommend the Kama Ayurveda Rose Jasmine face cleanser for all skintypes. It gently yet effectively cleanses the skin without drying it. The super sleek packaging makes it a winner in terms of being travel friendly. Also the impressive ingredients list adds up to it's efficiency. I would highly recommend you all to try it out at least once.